About an hour north of Prague is the town of Terezin, which contained two fortresses that were built during the time of the Austrian empire. These fortresses were re-purposed during the second world war to be used as a prison and concentration camp/ghetto. Terezin was a holding place here in the Czech Republic. It was considered to be a transit camp. Over 35,000 people died here during the 2nd World War. It was not built to be an extermination camp, but many people perished due to the stress, undernourishment and diseases. Many, many more passed through here on their way to almost certain death in places such as Auschwitz. A portion of these train tracks still remain in Terezin. The ones on the left show the way in. The ones on the right are the ones that led out. The survivors of the trains out were very few. 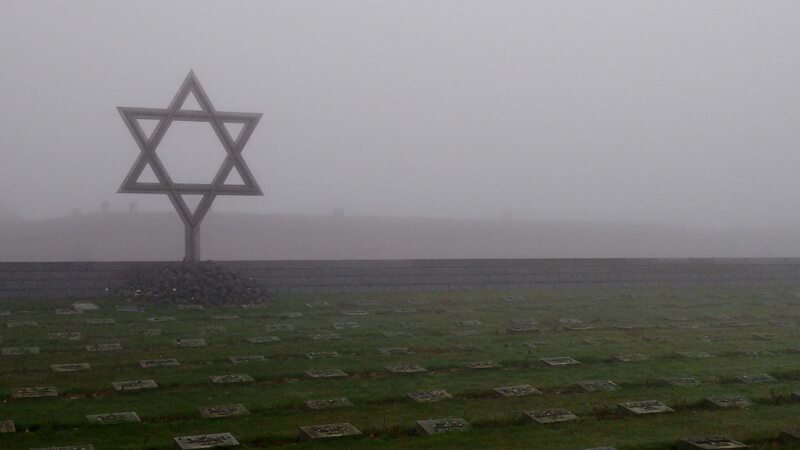 Our day in Terezin was the coldest and foggiest day that we have had since we got to the Czech Republic. When we arrived at the graves outside of the Small Fortress, it gave an extra eerie feeling to the place. These graves are of the prisoners of the small fortress. While there were many Jews imprisoned here, this is also where anyone who stood up to the Nazi’s was sent. It was a place of torture and a place meant to break human spirit. Prisoners left this place one of two ways. They died here, or their spirit was broken here. Many whose spirit was broken were released, so they could go back to their communities and tell the tales of their interment. When you knew of what was waiting for you in Terezin, you thought twice about political involvement against the Nazi’s. You thought twice about helping your neighbour if they were a Jew. I remember reading years ago, a book by James Hillman called “Kinds of Power” where he wrote about different kids of power and how they could be used. One of the topics in the book was “efficiency”, which in business and government we often hail as a sort of divine standard. He spoke about how efficiency had been such a strong value in the Nazi philosophy. It had been one of the drivers for how they did things, and he warned against what could happen if we pursued efficiency simply for efficiency’s sake. As 20 of us comfortably stood in a room that was built to house 30 prisoners, we could get the sense of what it might have been like to stay in this room when there were 80+ prisoners in it. Eighty people without running water, sleeping in beds without matresses. Dealing with the fatigue of working all day and subsisting on watery soup with a few vegetable peels in it and bread that was half saw-dust. Eighty people with sick stomachs using one toilet. And… these were the “better” conditions within the fortress. These were the conditions of the “regular” prisoners. If you were Jewish, you were put into another room where you had to stand. You stood night and day in a room filled to capacity with other prisoners. If you leaned, or if you sat down, you were beaten. Within the larger fortress, the ghetto/concentration camp existed. As I mentioned before, Terezin was used as a transit camp. Another purpose for this facility was propaganda. Bits and pieces of this camp were shown to the outside world as people started to question, “Where are all the Jewish people disappearing to?” On the outside looking in, the camp did not look so bad, and efforts were made to try and maintain that appearance. If a prisoner wanted the reward of packages coming in to them from their friends and family, they knew that they had to write letters out that spoke of how good things were there. If you wrote something derogatory about the camp, your letter was destroyed and you were punished. 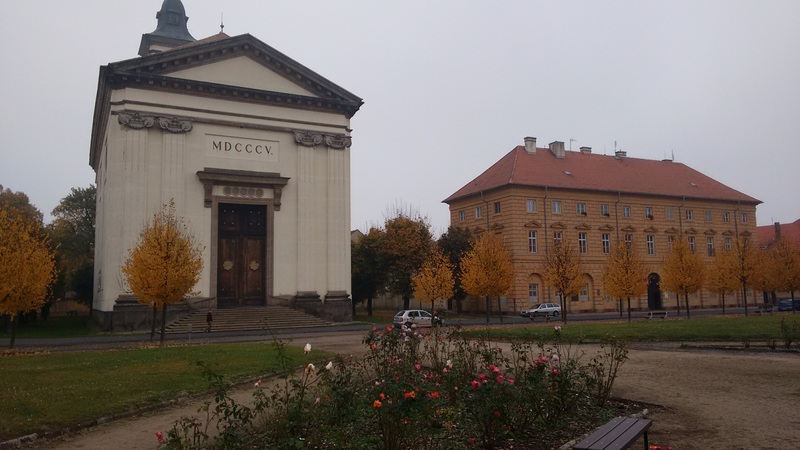 We visited the Ghetto Museum while we were in Terezin, which is housed in a former school in the town. 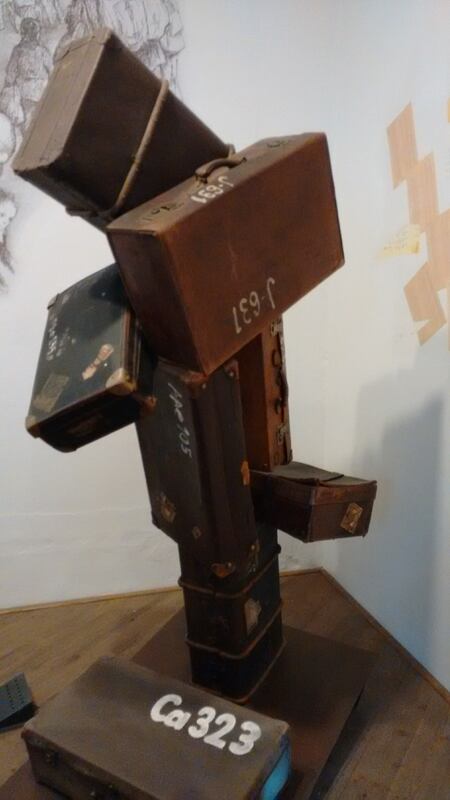 It was humbling to see the artifacts (many of which were turned into art) within the museum. Our final stop for the day was at the Terezin Memorial and the Crematorium. Very few people were killed here. Two dozen were shot for passing letters from one part of the camp to the other. But, as I mentioned before, many others died from the conditions in the camp. The memorial exists as a memory to the 35,000 + people who died here. And while a few thousand are in graves within the memorial space, the majority were cremated in the nearby crematorium. 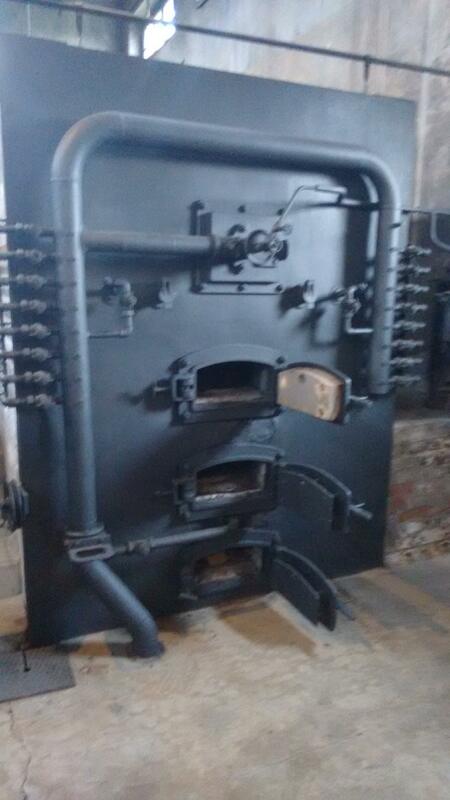 Roughly 30,000 people were cremated here during the Second World War, with the six ovens working efficiently… 24 hours a day. 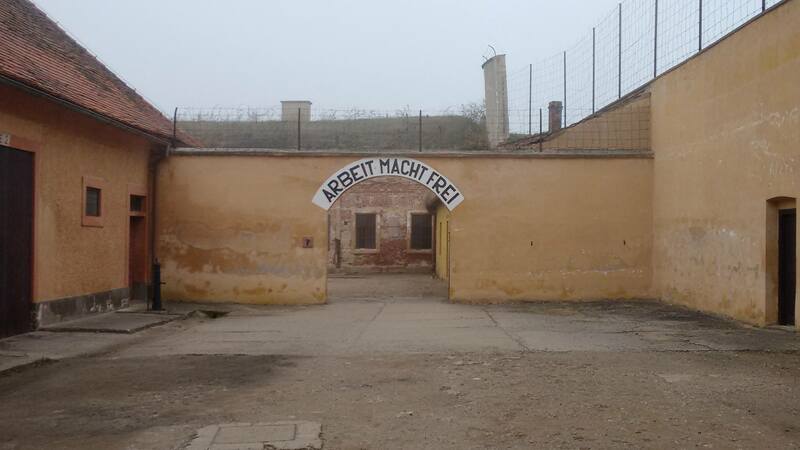 Before we visited Terezin, I had a number of conversations with Artie about “How can something like this happen?” It is easy to blame one evil person for all of this. It is easy to blame a leader. But, something like this happens when thousands of people make a lot of small, seemingly insignificant choices. They choose to stop seeing what is happening. They choose their own safety over that of their neighbors. They vote for the “lesser of two evils” instead of “for” someone. They choose to make another group responsible for the state of their own life. They decide “this is not so bad”. And eventually, the force that they have chosen to ignore grows stronger, to the point where no one person can stop it. 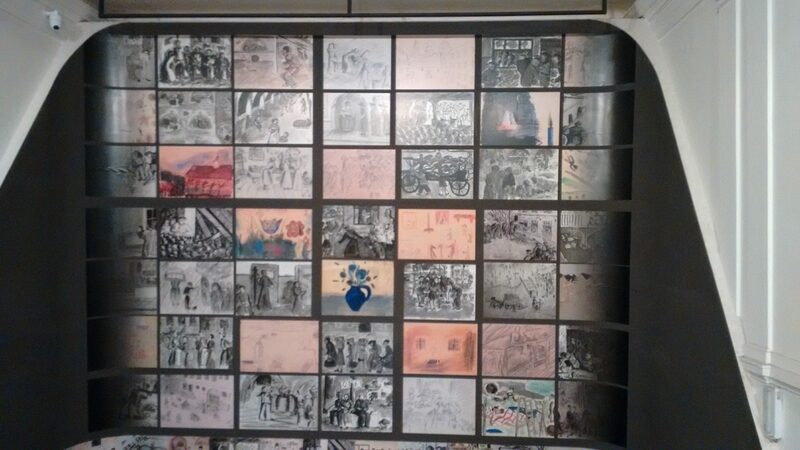 As a parent, I was grateful for the way that our tour guide framed the things that we can learn from Terezin. He talked with our kids about how we have choices, and how when we have the opportunity to do some good in the world, we can choose to do good. If we see an elderly person carrying bags that are too heavy, we can offer to carry them for them. We can look for opportunities to do some good in the world. Gord Downie made choices, especially during his last couple of years of life to bring attention to one of the darker (if not the darkest) parts of our own country’s history; the residential schools and our (attempts at) cultural genocide of Native Canadians. I don’t pretend to know what our kids will take away from what they have seen, learned and experienced during our travels. Of course, my hope as a mother is that it will make a difference for them, and (positively) shape the adults that they will grow into. I hope that they will see the privilege of their lives, and I hope that they will question that privilege. I hope that they will see more choices available to them than they could see within the small town and the systems they were growing up in. I know that for myself, I’ve started to look at things in my own country differently. I question more and more of my own choices, and that is not comfortable. I question a lot more of the small choices that we make as Canadians, and see how they have led to larger issues of inequality that I am starting to doubt can/will be resolved within my lifetime. Yeah… this is a heavy post, and I don’t want to leave you in a messy space. So, let me leave you with this to think about. It has been 14 months since the Tragically Hip’s last concert. Let’s say that you knew that you only had 14 months of small and big choices to make to leave your mark on the world… to make a difference. What would you do differently? What conversations would you have? What little bits of good would you do? Dear Kay. As you wrote, this was indeed a “heavy post” but an extremely important one. I had tears in my eyes as I read it. You are so right about the importance of educating our children about history and to the darker side of human behaviour.